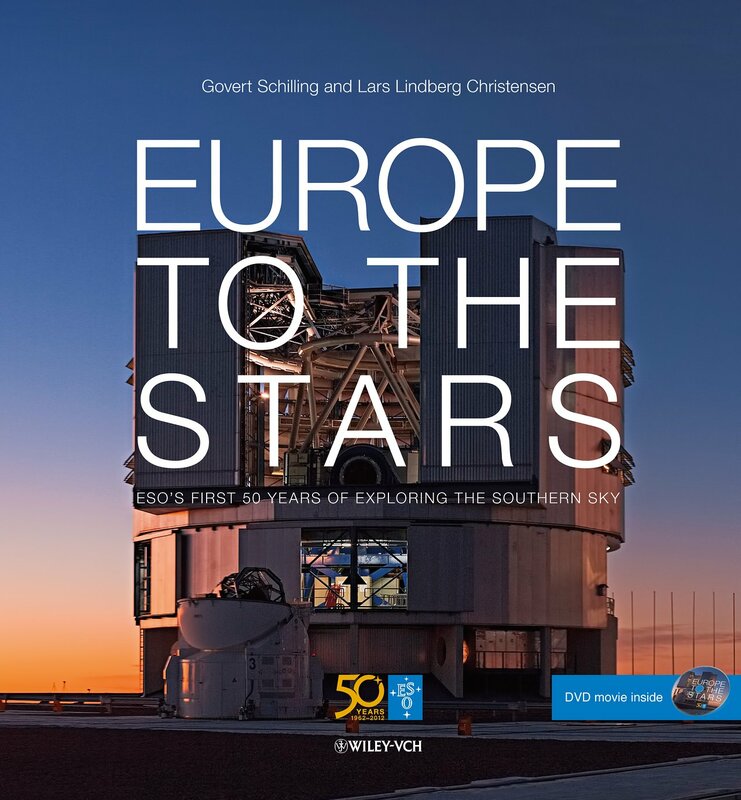 The much-anticipated Europe to the Stars — ESO’s first 50 years of Exploring the Southern Sky, a sumptuously illustrated coffee-table book published in celebration of ESO’s 50th anniversary, is now available to download as a pdf from the ESO website, or for purchase in high-gloss hardcover format from Wiley-VCH. The book features three impressive panoramic foldout views of the observatories. The coffee-table book, which contains 300 spectacular hand-picked images selected from ESO’s impressive collection of over 100 000 images, tells a story of aspiration, inspiration and discovery as the reader follows ESO on its journey to become the most productive ground-based observatory in the world. From the signing of the ESO convention in 1962, to the the creation of the La Silla Observatory in Chile, the book is an accurate depiction of the instruments, discoveries and the people who have made ESO what it is today. Each book includes a copy of the DVD of the movie with the same title. The movie consists of eight chapters, each focusing on a different aspect of ESO while also offering a unique insight into the science of astronomy. A second book entitled The Jewel on the Mountaintop — The European Southern Observatory through Fifty Years — will also be released within days. Written by Claus Madsen, one of ESO’s senior advisors, this book is a comprehensive historical account of the observatory, as well as of a truly remarkable success story for European research. 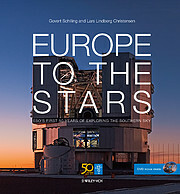 Book cover "Europe to the Stars"